Saturday was beautiful and sunny. When I got to Barnegat the winds were brisk and the waves were huge, many of them going over the jetty. 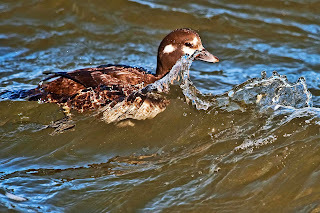 The female harlequin image shows how adept she is at riding the waves. 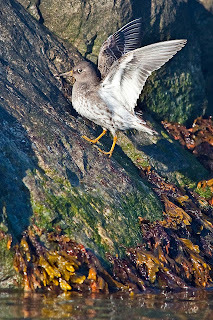 The purple sandpiper image was taken in late afternoon light from the beach side of the jetty. All images were taken full frame, with a Nikkor 300mm f/4 and a 1.7 teleconverter.